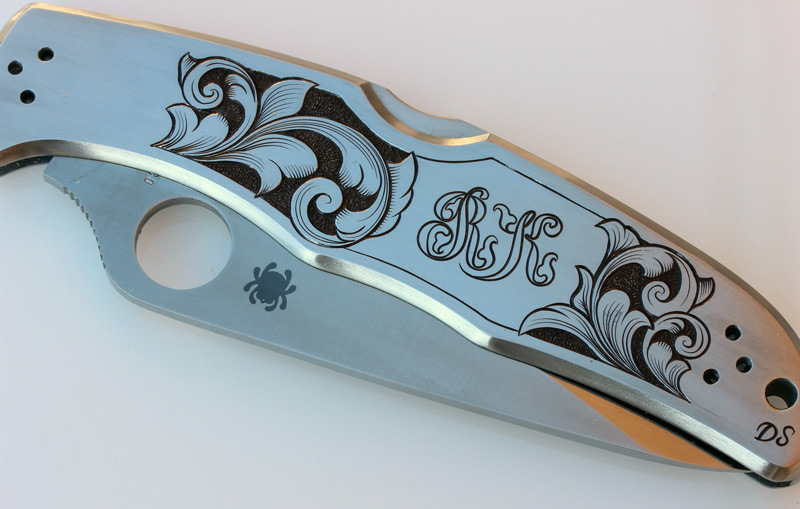 These two Spyderco folders were hand engraved for a local customer. 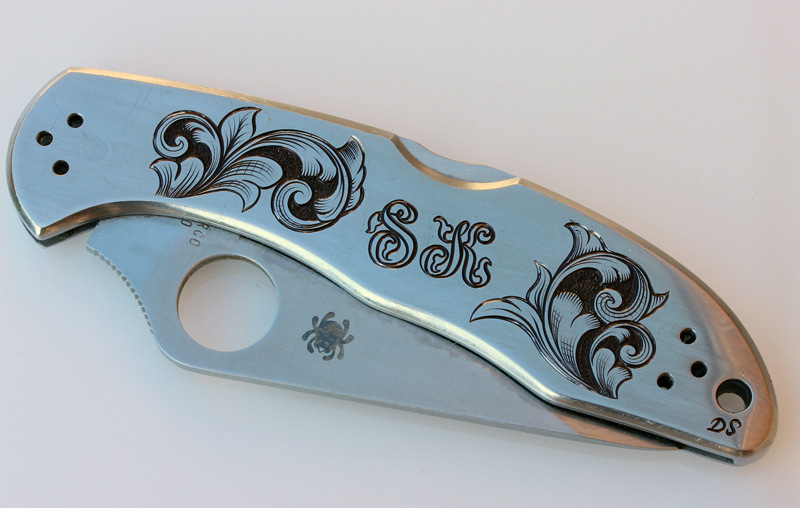 The stainless steel Spyderco Endura above was engraved as a gift for his boss, while the slightly smaller stainless steel Spyderco Delica below was his own knife that his boss liked to borrow! Now they each have a pretty classy looking pocketknife.